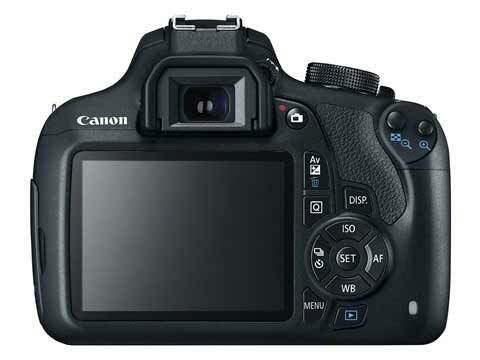 The replacement 1300D was announced on March 10th 2016. 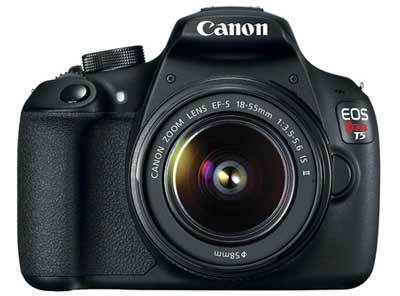 This page includes reviews, technical information and product updates, such as firmware. Any new 1200D related info will appear here. 17th We hear that Park cameras in the UK now have this camera in stock. 12th The 1200D/T5 is announced. As ever, this page will be updated as more info becomes available. 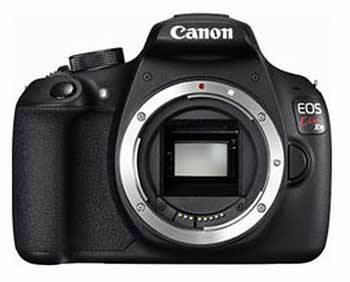 Canon today unveils the EOS 1200D – a new entry level DSLR that makes capturing beautiful photographs and Full HD movies easier and more enjoyable than ever before. Designed for first-time DSLR owners who want impressive results straight out of the box, the EOS 1200D will launch alongside an EOS Companion app[i] for mobile devices, which offers helpful tips and tutorials to help you get the most out of your new camera and other cameras in the EOS range. The EOS 1200D combines Canon’s world class imaging system with a range of intuitive, easy-to-use controls and automatic shooting modes, ensuring that no matter what your skill level, capturing images that always do your memories justice is simple. With the help of the new EOS Companion app and easy to navigate quick start guide, you’ll be able to easily learn about the camera’s button layout and features, so you can take your first steps to shooting special moments more confidently. The app provides a range of expert tutorials and step-by-step exercises to take you through photography basics at a pace to suit you, with an ‘Inspire’ section suggesting combinations of popular subjects such as pets or people, with photographic instructions, such as information about speed or perspective. The app also features a troubleshooting guide to provide helpful tips on improving your photos and combating the most common type of problems, such as blurry or overexposed images, as well as tips on composition for groups and landscapes. The EOS 1200D ensures that your special memories can be relived in vivid, beautiful detail and remembered for years to come. Colourful, high quality stills – perfect for creating large-scale prints as gifts or for showcasing proudly around the home – are captured using an 18.0 MP APS-C CMOS sensor and Canon’s DIGIC 4 processor. As light levels fade, the images you capture will look just as vibrant, thanks to the camera’s impressive low light capabilities. A 9-point AF system featuring points spread right across the frame ensures that no matter what you are shooting, the entire scene is captured in striking, detailed quality. With rapid continuous shooting you can also shoot a series of images at up to three frames per second – ideal for capturing bursts of fast moving action. From birthday celebrations to holiday adventures, you can trust the EOS 1200D to always capture stunning results. Using the Scene Intelligent Auto mode, which automatically selects the most appropriate combination of camera settings, it’s easy to shoot with the right settings every time. For those moments that need to relived time and time again, the EOS 1200D also shoots impressive Full HD video (1080p). A wide range of easy-to-use controls gives you the freedom to get creative with movies as your skills develop – offering control of exposure, focus and sound levels so special moments are captured just as you enjoyed them. For a professionally edited feel, Video Snapshot mode allows you to record a series of short video clips and automatically joins them together in the camera for a summary movie of your occasion. Adding a unique twist to each shot can be achieved with just a touch of a button, thanks to the EOS 1200D’s range of in-camera Creative filters. A choice of five different popular artistic styles, such as Miniature effect, Fish-eye and Toy camera, can be applied either before or after a shot is taken – allowing you to instantly add a creative feel to enhance the drama and atmosphere, or simply bring a completely different perspective to your images. Compact and lightweight, the EOS 1200D can be carried with ease, ensuring you can embrace every opportunity to capture the moment. The camera’s layout of large, intuitively-placed controls is easy and instinctive to use, making it quick to get to grips with different settings when you’re shooting on the move. Designed to be flexible to suit your shooting style, the EOS 1200D features a bright optical viewfinder to help you frame your shots, and a 7.5cm (3.0’’) LCD screen for shooting in Live View mode. The sharp 460k-dot resolution LCD is the perfect way to review stills and movies straight after capture, or with groups of friends. When you’re ready to take your photography to the next level, simply change the lens on your EOS 1200D to one of a selection of over 70 Canon EF lenses – each one giving you a different perspective that’ll help you to explore your creativity and take photos that really stand out. With the EOS Companion app you’ll find details on the EOS 1200D’s wide range of compatible lenses and accessories. 20th We’re told (thanks) that the 1100D will continue ‘for some time’ until all the ‘current stocks and parts’ are used up and that there is no plan to update it. 21st A new 700D and smaller 100D are announced. What does this mean for the position of the 1100D? 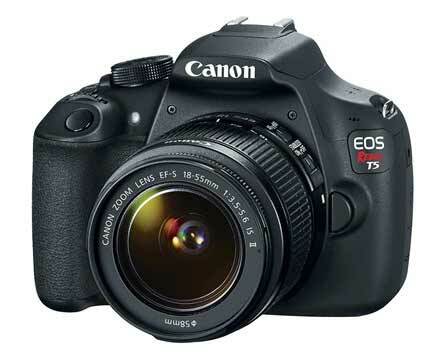 Will we see a 15/18 MP 1200D in 2014, or are the 100D and EOS-M signifying the end of the xxxxD line? 22nd The 1000D is still a current model – long past when people thought it would be renewed. In fact 1000D replacement rumours have pretty much dried up.